I’ve been off the grid for some time, and I have to say – it’s been nice. I let myself off the hook for writing blog posts the past few months, and although I really liked removing a layer from my complex mental stream, there were a lot of things I wish I had written about. So today I break the sabbatical to write about a special day that is also one of the anchoring events for me in this area. Last year, I was fortunate enough to get on board as a volunteer with North Coast Opportunities – specifically, The Gardens Project – just in time to help plan a new event that was a seed in a few people’s minds: a convergence of farmers from around the North Coast. 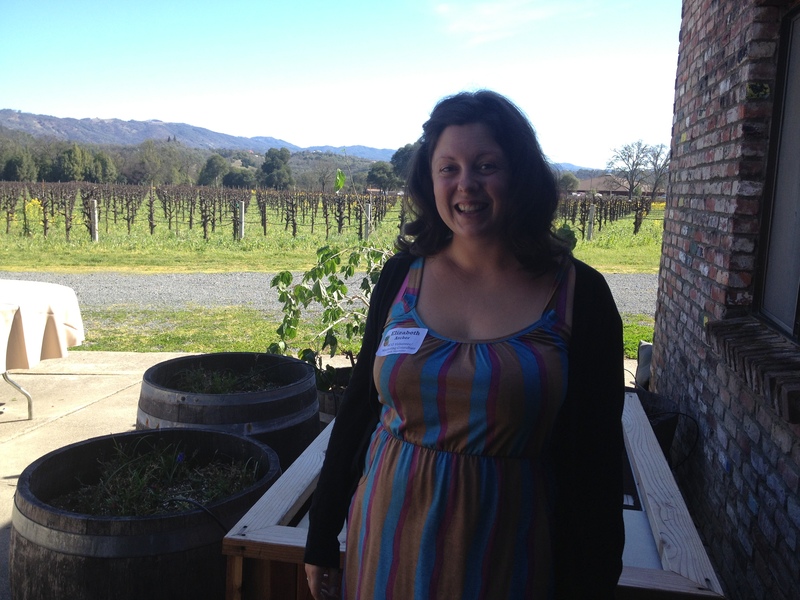 After two months of planning, the First Annual North Coast Farmers Convergence was held at Barra Winery on March 2, 2013. It was a very special day and will remain a strong early Mendocino memory for many years. Here’s an article I wrote about it. Last year at Barra – such a beautiful place (and the only place I buy whole cases of wine). Our bold decision to call it a “first annual” paid off, and yesterday was the Second Annual North Coast Farmers Convergence, this time held at Ridgewood Ranch (home of Seabiscuit). This year, I was on board as a paid employee – some big news since I last posted is that I got what you might call a “legitimate” job! After over a year of volunteering and contracting, I was hired in the first week of January to work with the Community Action team. Not being at home all day has been an interesting transition and I’m enjoying life from this altered perspective. Although my domestic and cooking projects have waned, I work with inspired people on interesting and important projects. Back to this year’s Convergence: it was a smash. The location was perfect and turnout was exactly what we were hoping for. Everyone is so happy that it’s been raining that we called it a benediction on the day (rather than a destroyer of hair and printed materials). I was in charge of administrating the event, so for the past month I’ve been sending invites and e-mails, dealing with registration, and taking lots of calls – farmers really like to talk on the phone (vs. registering on a computer, for instance). I had lists upon lists of variations on information – paid registrants vs invited guests vs volunteers and staff; food donors and people wanting a homestay and others needing childcare. It was a big job but as a Type A/OCD Capricorn, I was in my element. I didn’t even have a meltdown the night before when a co-worker and I had to hand-crank 26 sheets of nametags through the industrial printer (a solution we found after an hour of fumbling with paper jams). It’s fun to reflect on how differently you respond to things at age 32 than, say, 22. Is this maturity? In all, we were about 200 strong. The event is special because it’s ” not just another meeting” as we like to say. Everyone gets up and talks to each other, and they like it – how different from most impersonal conferences when an ice breaker is a sure way to clear people out of the room. The whole day revolves around connections and conversation, and is punctuated by really excellent food. The organizing team was a well-oiled machine, and the staff/volunteers at Ridgewood were dynamite – they were responsible for a huge part of why the day was so smooth. After the event a few of us had a drink back at our house and read the reviews, which were heart-warming and enthusiastic (with the notable exception of one tragic yet amusing outlier). “Please do it again next year!” was a common refrain, and so I’m already looking ahead to the 3rd Annual Event. It’s so encouraging to see a group of diverse individuals across all interests and ages (though admittedly not cultures – we’re in a pretty white part of the world) come together to find out how similar we are and how much we can do for each other. I really feel blessed to have stumbled upon Mendocino, and days like yesterday remind me of that. I didn’t take a single picture, but once they’re posted online I’ll share the link – we had a professional photographer so they should be really good this year! A rainbow that my friend Brook captured in Hopland (just down the road from Ukiah) a few days ago. This entry was posted in Mendocino at large. Bookmark the permalink. Dude, I’m also an OCD Capricorn! Sounds like a fun event. Also, your blog is slobber-inducing. So much good food! OCD Capricorns know how to get things done!